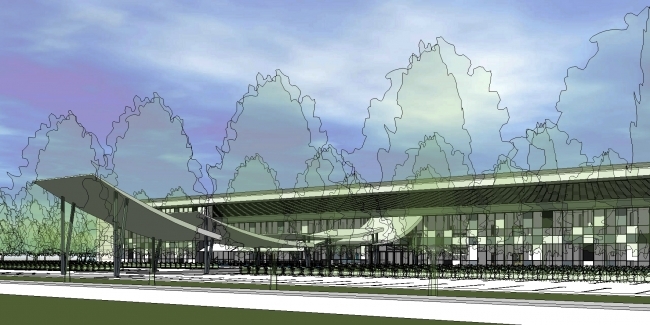 International aerospace and defence engineering group Meggitt PLC has announced plans to build a multi-million pound facility in the West Midlands. This major £130m project at a new site at Ansty Park in Coventry, developed in conjunction with partners, would bring together a number of Meggitt’s existing operations and represents a significant investment in the long-term future of Meggitt’s UK manufacturing capability. The facility, which would provide a base for up to 1,000 employees, strategically positions the business for future growth and will serve as a hub for next-generation aerospace innovation and R&D and as a catalyst for world-class operational performance. The new 440,000 sq. ft. facility will aim to combine a range of operations ─ Aircraft Braking Systems, Control Systems, Customer Services & Support and Corporate Shared Services ─ within a world-class aerospace engineering and technology environment. Plans for the site include an engineering and manufacturing Centre of Excellence for future aerospace thermal management technology – already supported by the UK Aerospace Technology Institute (ATI) with a research and development award from the Department for Business, Energy and Industrial Strategy of £3.7m. Meggitt plan for the new facility to become operational by the end of 2019, following full consultation with employees and their representatives.